I just wanted a simple Khaki skirt. One I could wear with a light airy shirt (My shirt review is posted here.) on sunny days. Mood has a huge inventory of organic twill, from hibiscus pink to sweet potato orange. A wonderful selection to choose from. I would like to buy them all. But I picked this Olive Organic Cotton Twill for my khaki skirt. The twill weave is tightly woven and sturdy. I love the sheen and luster of the fabric. The color is vibrant and the hand crisp. Like other natural fiber, it presses well. McCall 7392 was the perfect pattern for my project. I made view C with the back pockets of view B. I used size 14 with a few minor tweaks made during the sewing process. 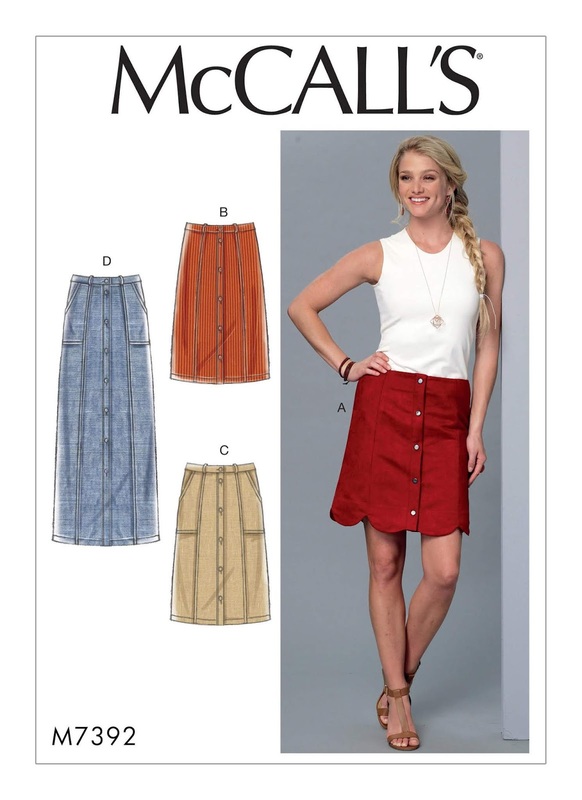 The description is semi-fitted skirt with front band and side-front and side back seams; top stitching, back pockets, and side front pockets; waistband, carriers, and stitched hem. I used buttons instead of snaps. I really like the style, length, and the pocket treatment. I always enjoy sewing the top stitching of twill garments. And the front band was a change from the normal back or side zipper. 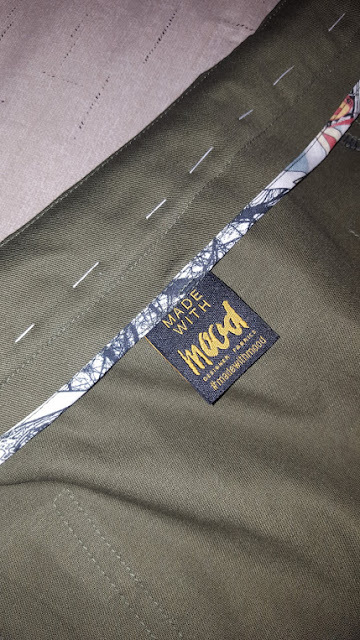 For an added special touch, I Hong Kong finished the inside of the waistband. The instruction easy; nothing confusing. In fact, I only skimmed through them. I really like this skirt. I could see myself making the long version for fall. I do recommend it. The style line are good and give the sewist/designer more easy fit options. It’s great for a khaki skirt. Parting Shot: Pond at Verteran’s Park.